The Deed Poll Site (Deedpollsite.com), is a leading Deed Poll Document supplier within the United Kingdom (England, Scotland, Wales and Northen Ireland). As a leading Deed Poll Service provider, we help clients all over the UK, and abroad, to officially change their names. The Deed Poll Site helps you change your name in a fast and, stress free, easy manner. It helps you to avoid expensive solicitor's costs as well as those of a notary public. The Deed Poll Site provides a professional legal name change service, so you know you can rely upon our tried and trusted expertise in this field. We don't use fancy gimmicks to attract customers on our site, our great prices, quality of service and word of mouth from established customers says it all. It takes less than FIVE MINUTES to apply to change your name officially with our service. Our Deed Poll documents are sent out via 1st class post next working day. Once you sign our Deed Poll documents, your name officially changes, no running to solicitors, do everything from the comfort of your own home. What is a Deed Poll Document? A Deed Poll also known as “change of name deed” and more formally as “Deed of change of name” is a legal document which enables you to formally change your name. Deed Poll Site Deed Poll documents are accepted by all UK government departments, companies and organisations enabling you to get your name officially changed and get all your official documents, such as your British passport, driving licence, credit cards, etc., issued in your new name. Both British and non-British nationals can use our Deed Poll documents to officially change their name within the UK. 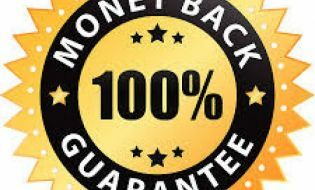 All our Deed Poll documents and legal copies are fully covered by our 30 Day Money back Guarantee!. All the email and postal Deed Poll documents are fully legal documents and can be used to officially change your name. We completed all the legal stuff for you, including your details. We cut out the solicitor's costs and you save the money. All you need to do is to sign and date the Deed Poll documents or legal copies in front of a witness. This is referred to as executing the Deed Poll document and once this is done, you can officially start using your new name. To apply for a NEW CHANGE OF NAME using a Deed Poll document use our Standard Deed Poll Service. We provide two types of Deed Poll documents, email and postal. Unlike most other Deed Poll suppliers we undertake to process and send out all email Deed Poll documents within 10 minutes of your application being submitted and all postal Deed Poll documents the next working day via 1st class post. If you have already changed your name with us and now need a REPLACEMENT DEED POLL document use our Archive Service. When you apply for a replacement deed poll originally purchased from us, we will verify your original order and create a special replacement deed poll document for you. If you originally changed your name using a solicitor, don't know who you changed your name with, or have any particular or special circumstances and need a bespoke deed poll document creating specially for you then please use our Replacement Service. All our Deed Poll documents are fully covered by our 30 Day Money back Guarantee!. All the Deed Poll documents are fully legal and can be used to officially change your name. We do all the legal stuff for you, including your details. We cut out the solicitor's costs and you save the money. All you need to do is to sign and date the Deed Poll in front of a witness. This is referred to as executing the Deed Poll and once this is done, you can officially start using your new name. All our postal deed poll documents and legal copies are sent via 1st class post, on high quality paper, with our official company watermark and embossed seal stamp.